The world of ICT was once a male dominated environment but the landscape has changed dramatically over the years. Telecom Review is going to celebrate that diversity and the shifting of demographics in the telecommunications industry by conducting a special series of interviews over the next few months entitled 'Women in ICT'. In today's interview, we speak to Maria Varsellona, who is president of Nokia Technologies and chief legal officer of Nokia. Varsellona has ascended quickly through the corporate ladder at Nokia since joining the company in 2013. However, the prominent executive has now been tasked with the responsibility of devising Nokia's strategy in relation to its global approach to technology. 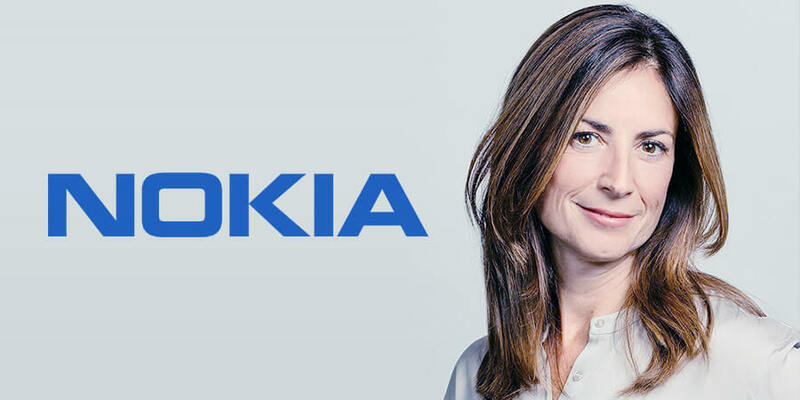 In a fascinating interview, Varsellona talks about her recent appointment as the new president of Nokia Technologies, and discusses in detail how she will juggle the responsibilities of both jobs with the Finnish telecommunications company. In addition to this, Varsellona also highlights how important the licensing business is for Nokia. Firstly, I'd like to say congratulations on your recent appointment as president of Nokia Technologies. Can you give us an overview of your professional background? Thank you! I have a broad background in a range of corporate legal roles. After gaining a JD from the University of Palermo, Italy, I was admitted to practice as a lawyer in Italy in 1996 and as a solicitor in England and Wales in 2000. I joined Nokia in July 2013 as general counsel of Nokia Siemens Networks, and then became chief legal officer of Nokia in May 2014 and president of Nokia Technologies this June. Beyond my roles at Nokia, I joined the board of directors of Nordea Bank in March 2017, and have been vice chair of the board of NSB, a joint venture between Huaxin, a Chinese state-owned enterprise and Nokia, since January 2017, having joined the board a year earlier. I was a member of the Alcatel Lucent board from January 2016 to April 2017. Can you outline the main elements of the strategy you'll adopt to lead Nokia Technologies?Nokia Technologies is now focused on licensing Nokia intellectual property in three areas: our industry leading patent portfolio, our groundbreaking audio and video technologies such as OZO Audio, which delivers high quality spatial surround sound, and our brand, which is recognized around the world for well-designed and very reliable products. Our focus is on growing all three of these businesses, delivering financial results for Nokia while enabling others to benefit from our innovations, as a company which is creating the technology to connect the world. You are currently chief legal officer as well. How will you manage to handle both positions? I am fortunate to have strong leadership teams in both organizations. Our Legal & Compliance team is already working closely with all Nokia businesses, while the licensing businesses are delivering strong returns for Nokia. Being able to rely on my capable colleagues will mean I am able to cover the responsibilities of both roles. In your opinion, how important are the licensing businesses for Nokia? They are very important. In 2017, our licensing businesses generated over EU 1.6bn in revenue, as well as a significant contribution to the group's profitability. Through licensing, we maximize the financial returns for Nokia on our substantial investments in R&D, which have helped create one of the broadest and strongest patent portfolios in our industry. As we move towards a 5G world, we see new opportunities for licensing in new areas that will build on our leading position in the fundamental communications technologies, such as internet of things devices and beyond. The impact of our relationship with HMD Global, as the exclusive licensee for phones and tablets, is also important beyond financial returns. Since December 2016, they've launched many new Nokia branded smartphones, running on Android, with a great reception from both media and Nokia fans. The Nokia brand is still one of the most recognized and trusted around the world in this market and it's clear that HMD's new generation of phones are having a positive impact on the overall perception of the Nokia brand. What do you hope to achieve through your new position? I want to help Nokia retain and grow its position as a leader in intellectual property, whether patents, technologies or our brand, delivering returns for the company and helping others benefit from our many innovations. For any company, strong values and uncompromising ethics would seem to be fundamental assets for success and sustainability. How do your values help in your company's success and sustainability? Nokia adheres to the highest standards for ethical business, as we create technology with social purpose, quality and integrity. It's through our people and culture that we can shape technology to serve human needs. Our pursuit of performance with integrity and sustainability - a culture that stems from our Finnish roots - is critical to why our customers and partners choose to work with us. We have some clear guiding principles behind our four core values. 'Respect' is a really important value - we act with uncompromising integrity by working openly and collaboratively, seeking to earn respect from others. 'Challenge' reflects that we are never complacent, we ask tough questions and push for higher performance to deliver the right results. 'Achievement' means that we take responsibility and are accountable for delivering results, driving quality, setting high standards and striving for continuous improvement. Through 'Renewal' we commit to constantly refining our skills, learning and embracing new ways of doing things, and adapting to the world around us. Is gender equality one of the areas which Nokia is focusing on? As you can imagine, I am often asked about this. Equality and respect are fundamental to Nokia's culture and also built from our Finnish roots. Nokia promotes a diverse and inclusive workplace where hiring and opportunities for achievement and growth are based solely on merit, without regard to gender or any other factor. As we shared last year in a blog post, at current rates of progress, it will take 35 years for women to reach half of the leadership positions in corporations. Yet many studies correlate better corporate financial performance with more gender balanced leadership teams. So, gender diversity is not just about fairness, it makes good business sense. We have both top-down and bottom-up initiatives at Nokia to address this. In 2016, our gender balance steering committee kicked off a holistic five year action plan encompassing leaders' engagement, leveling the playing field in leadership development for talented women, building awareness and inspiring the next generation. We launched two high-touch career development programs involving 50 talented women per year. We also foster a gender-neutral culture through training for leaders and managers, and ensure that all our processes and communications are gender neutral and inclusive. Finally, we aim to build a long-term talent pipeline by helping to bring more girls into Science, Technology, Engineering, and Mathematics (STEM). Our StrongHer program is an award-winning grassroots movement created by employees in 2011, now with over 2,300 members in more than 60 countries on five continents, including 23% male membership. Its members want a company where women have the same opportunities as men and are well represented in all business domains and functions, and the program advances gender diversity by offering networking opportunities, personal development, and a think tank on leadership and management. It also provides exposure to diverse role models for women and men, along with business contacts within and beyond the technology sector. I consider myself fortunate, as in my career I don't believe I have ever been discriminated against because of my gender, but I recognize that it is a real issue for many and I am happy to be able to mentor colleagues at Nokia to help break down these barriers.